Langtang trekking is famous trekking route in Nepal Himalayas. 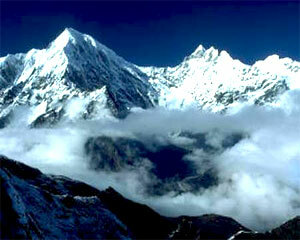 Langtang region is toward the north of Kathmandu valley. Langtang trekking offers a multitude of trekking destinations, all accessible without flights , splendid varieties of natural and cultural diversity with spectacular Himalayan views including Lantang Lirung, Dorje Lakpa, Ganesh Himal, Gang Chenpo, Yala peak, Naya khanga, Gaurishanker etc, Holy lake gosainkunda, Yak Cheese factory, wild animals Red panda, wild pig, musk deer, fox, jackal , monkeys , beautiful landscape, specially Tamang culture and lush valleys makes Langtang trek is more popular trekking in Nepal Himalayas. Langtang region also comprises rich Tamang art and culture at Gutlang and Goljung, ancient Buddhist monasteries such as kyangin and Singgompa Tatopani (natural hot springs) and the historic fort of Rasuwa-gadi in the china-Nepal border. Langtang trekking trails are challenging with long, steep climbs and descents, often through deep forests or across glacier mountain views and interesting villages with well-established lodges. The 1,710 SQ km Langtang National Park hosts a variety of natural splendors, from lush valleys alive with languor monkeys to the towering fir and rhododendron forests bursting with spring color while make trekking in Langtang region. Almost all the route of the Langtang trekking lays an unparalleled combination of natural beauty and provides very much glimpses of typical village cultures and their rural way of life. Langtang trekking combines the remote and spectacular valley of Langtang, with the high mountain lakes at Gosainkund and the beautiful Helambu Valley. Langtang treks has different trekking option among them Langtang valley trekking, Langtang gosainkunda trekking, Langtang Helambu trekking , Langtang ganja la pass trekking, Langtang Tamang heritage trekking , Langtang Tilman pass trekking, Helambu valley trekking, Jugal Himal trekking, Langtang panch pokhari trek are famous trekking route in Langtang region. End of the February to may and September to end of the November are the best month for Langtang trek. Since Langtang trekking open Apex Nepal Adventure Pvt. Ltd has depth experience to operate the Langtang trek according to trekkers/adventure seekers holiday schedule with life time experience.